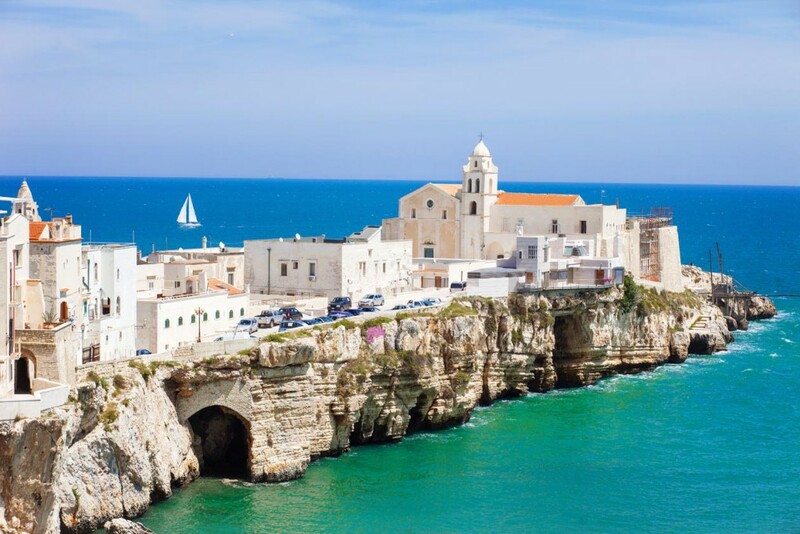 Apulia (or Puglia as it is called in Italy) is a lovely region in the South of Italy which has been attracting a lot of interest from couples looking for unusual wedding destinations in Italy. I know the region very well as I used to spend most of my seaside holidays on its stunning beaches when I was a kid. It was the perfect vacation spot for an art-loving family like mine and time has only improved it. Prepare for blindingly white architecture (like the buildings in Ostuni) standing against a deep blue sky, you will roam ancient stone alleys winding between fuchsia bouganville-covered walls, or explore steep cliffs jetting over white sand beaches and a caribbean-like sea. Planning a wedding in Apulia is the perfect option if you’re looking to provide a memorable experience for all your guests. You can book a whole masseria (as the local renovated aristocracy country houses are called) for your wedding party and you can arrange for sightseeing tours at Alberobello (the town of the trulli, ancient white stone round houses), cooking classes, olive oil tastings and trips to secluded beaches. But Apulia is also the perfect destination for a castle wedding, or a wedding on the beach. In short, it has everything you could wish for your destination wedding in Italy. Does Apulia sound like your ideal wedding destination? Let my friend and colleague Elisabetta help you plan your very own wedding in Apulia.